In this breathtaking and beautiful novel, the #1 New York Times bestselling author Anna Quindlen creates an unforgettable portrait of a mother, a father, a family, and the explosive, violent consequences of what seem like inconsequential actions. Mary Beth Latham is first and foremost a mother, whose three teenaged children come first, before her career as a landscape gardener, or even her life as the wife of a doctor. Caring for her family and preserving their everyday life is paramount. And so, when one of her sons, Max, becomes depressed, Mary Beth becomes focused on him, and is blindsided by a shocking act of violence. What happens afterwards is a testament to the power of a woman’s love and determination, and to the invisible line of hope and healing that connects one human being with another. 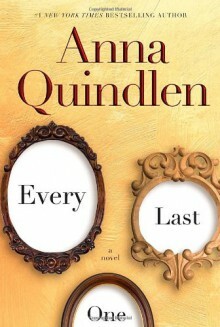 Ultimately, in the hands of Anna Quindlen’s mesmerizing prose, Every Last One is a novel about facing every last one of the the things we fear most, about finding ways to navigate a road we never intended to travel, to live a life we never dreamed we’d have to live but must be brave enough to try. SO was not expecting this book to be what it ended up being, but really enjoyed it!